Paul McGinley believes it would be wrong to “mess with the formula” that makes the Masters such a fascinating spectacle every year, writes Martin Dempster. This week’s field at Augusta National is the smallest since 1997, with a maximum of 87 players set to do battle in the opening major of the season. Among those to miss out are four-time major winner Ernie Els and former world No 1 Lee Westwood, who finished second as recently as two years ago. “I’m a believer in history and I feel the field is okay,” said McGinley, who will be in the Sky Sports commentary box later in the week. “It’s an elite field. The top 50 in the world are exempt, which is good. 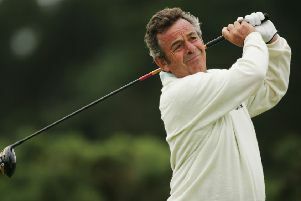 It’s the only men’s major, of course, that is held at the same venue every year and McGinley believes that is another big factor in why it so popular. l Sky Sports Golf is the only place to see live coverage from all four days of The Masters.